The nature and interactions of matter at high densities and low temperatures is one of the great unsolved problems in modern science, with profound implications for particle physics and astrophysics. Neutron star cores contain the densest matter known in the Universe, and therefore, determining their properties provides a direct way of measuring the equation of state of ultra dense matter. I work on the surfaces of neutron stars and on the development of spectroscopic methods to measure neutron star radii with increasing precision. 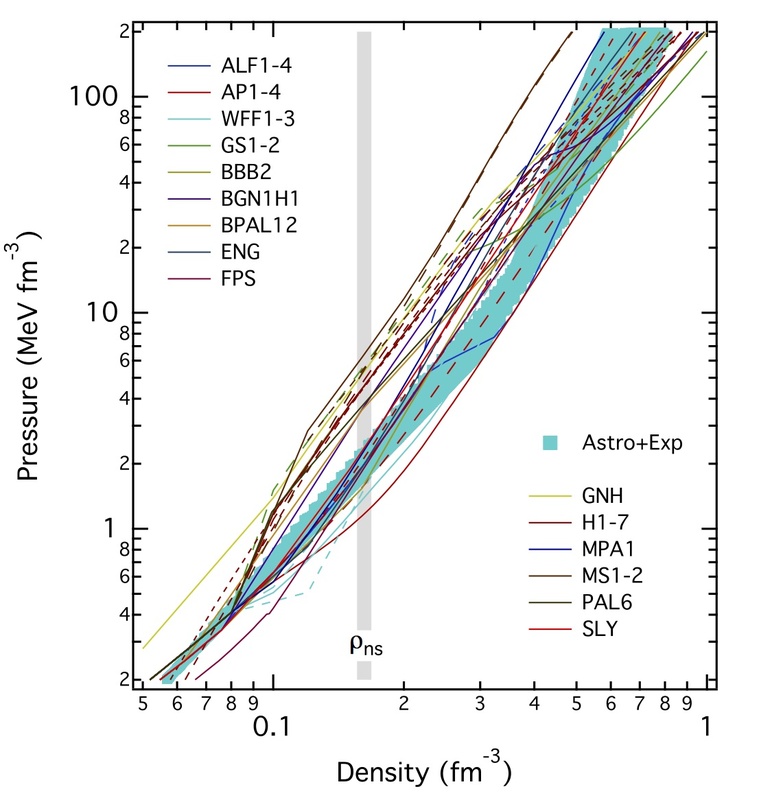 I also focus on the optimal ways to infer the neutron star equation of state from these measurements. Furthermore, I develop new statistical tools to extract the measurements and uncertainties from large data sets. We have taken a three-pronged approach to measuring the equation of state from astrophysical observations. 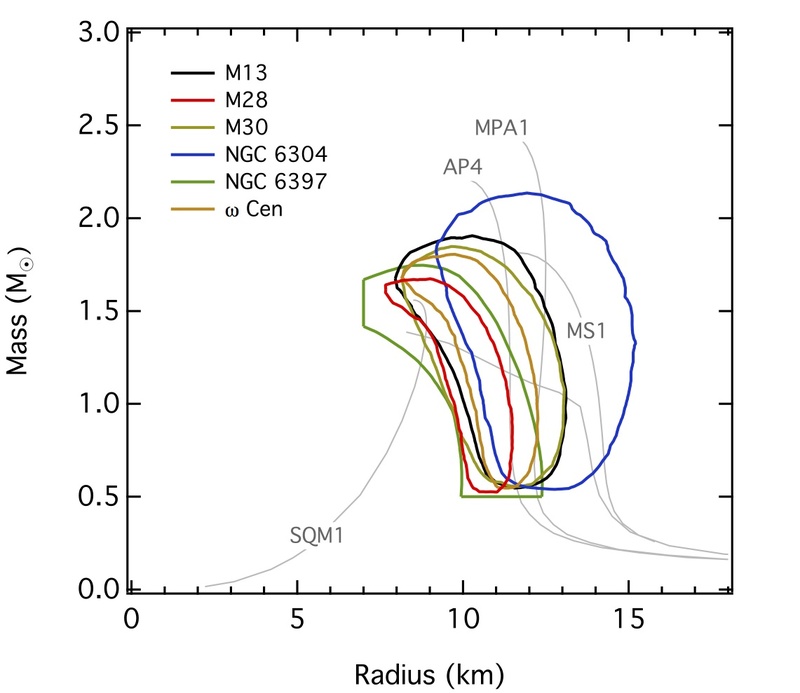 First, we established that mass-radius measurements of neutron stars faithfully map to equation of state parameters (see this reference for details). We also developed Bayesian inference tools so that other constraints, such as pulsar masses and laboratory experiments performed at low densities can be incorporated into the equation of state inference, along with the radius measurements. 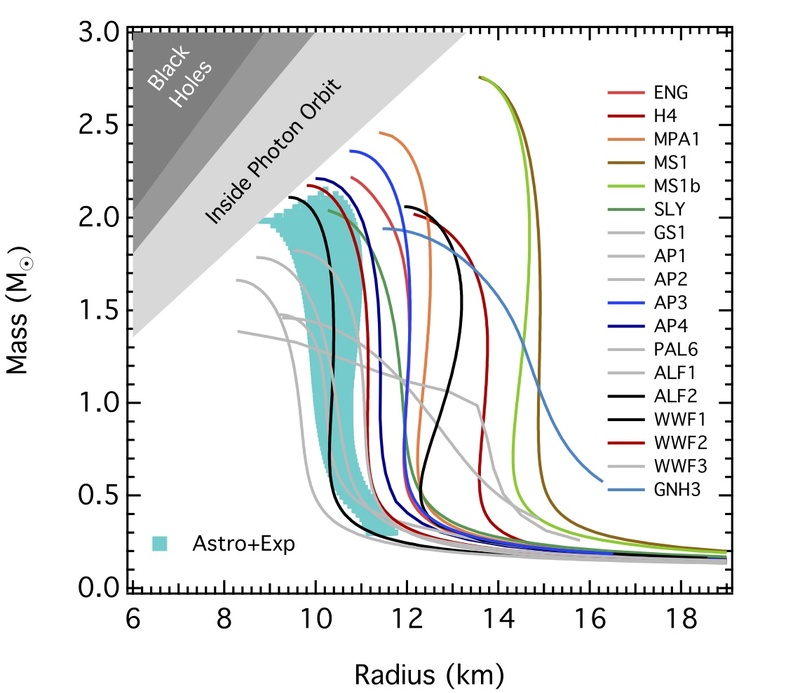 Our group pioneered the radius measurements of neutron stars with modern X-ray instruments and a careful assessment of the statistical and systematic uncertainties in such measurements. The most reliable and constraining radius measurements to date have come from neutron stars in binaries with low-mass companions. There are by now thirteen of these: six from neutron stars that show repeated thermonuclear bursts and seven neutron stars during quiescence. 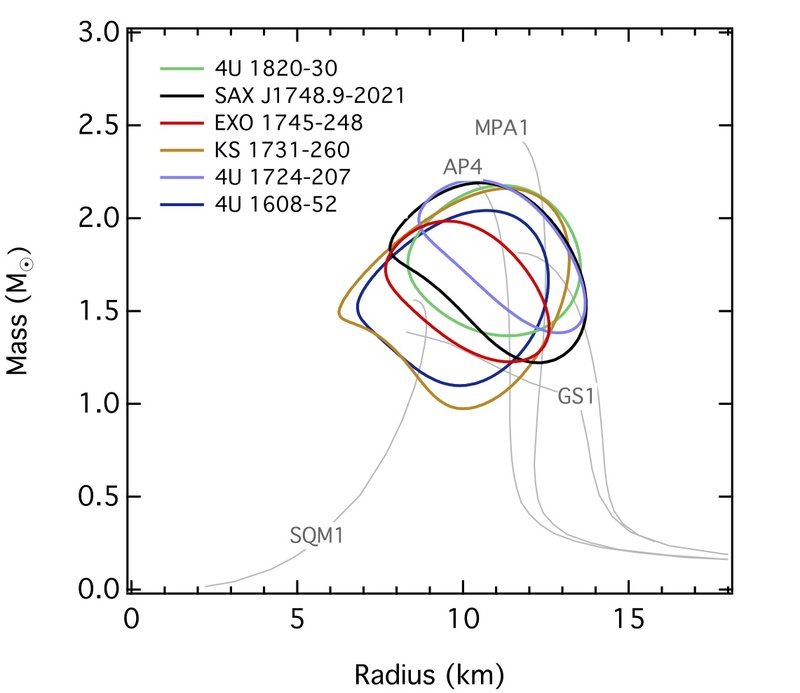 The diagrams below show the most up-to-date mass-radius likelihoods for these sources. The combined radii lie between 9.8-11 km (95% confidence). These measurements, combined with the requirement that the dense matter equation of state can produce a 2 solar mass neutron star (see this and this reference) and a minimum pressure requirement obtained from laboratory experiments at nuclear density (details in this reference) already place tight constraints on the cold dense matter equation of state and the neutron star mass-radius relation. Our work now focuses on obtaining constraints on the dense matter equation of state from timing neutron stars, which will provide an excellent complementary method to spectroscopy. With the NICER detector on the International Space Station, we will obtain high signal-to-noise pulse waveforms emitted from the polar caps of rotation-powered neutron stars. You can read more about our detailed modeling of rotating neutron-star space times and NICER here. And for more on Neutron Stars, click here.